Angular CLI is in beta at the date of this article's publication. The author's opinions are still considered accurate but, as with any beta software, expect information to quickly become dated. Angular CLI is a command line tool used to develop and deploy an Angular2 front-end. 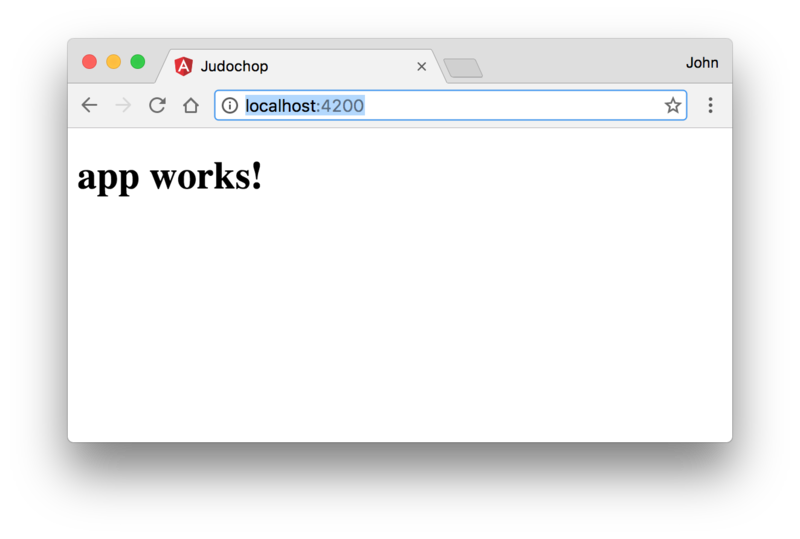 Recently, I've been using Angular CLI to develop an enterprise front-end, and I have to say that I am impressed. It's a powerful tool, and due to it's opinionated approach, it's simple to use. For better or for worse, you won't find Gulp or Bower packed in by default, and I think it's a good thing. 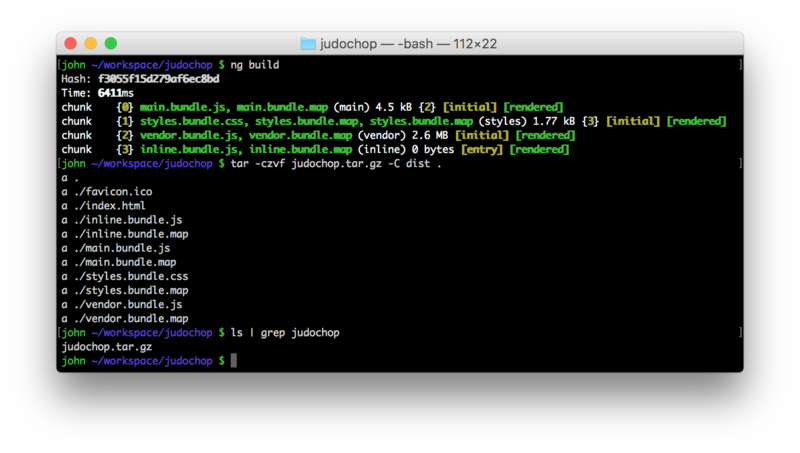 The code feels more streamlined by cutting out Bower in lieu of NPM, and the CLI acts as a basic task runner so Gulp isn't necessary either. It might take a few minutes to install, so be patient. Also, note that the -g flag is important as it signifies to install and make the CLI available globally. 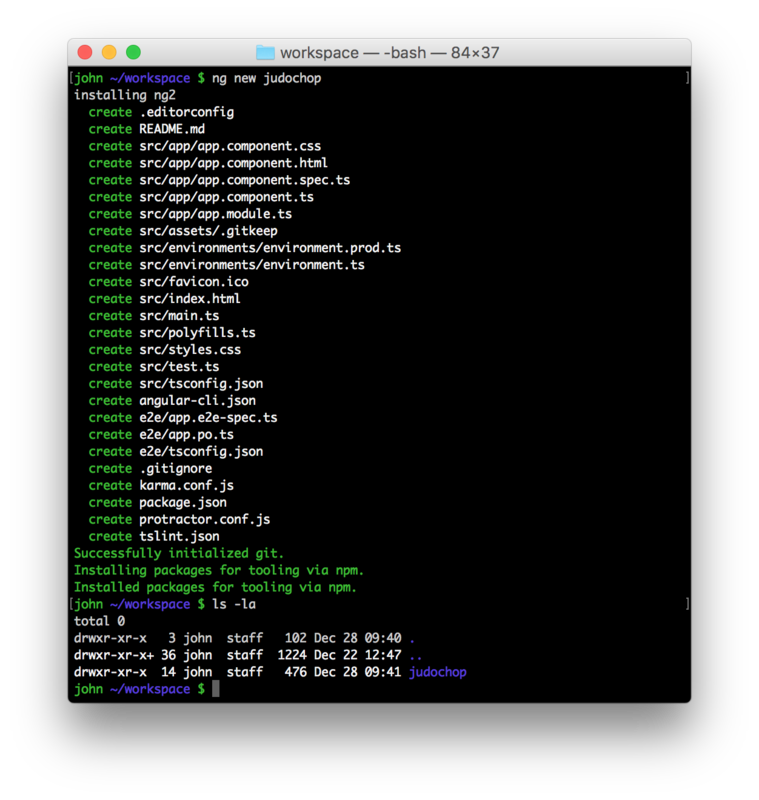 After the install process, the CLI is made available via the ng command. Open a browser to http://localhost:4200. The application should load and display the default text of App Works! That's it! In one command, a runnable Angular2 application can be generated, and in another command it can be deployed. You may have noticed that the serve command is still active in your terminal. The reason is that the CLI utilizes browser reload functionality by watching relevant project files for changes. When a file changes, Webpack does its magic to redeploy the application and automatically refresh the browser. This functionality has been around for a while via a variety of node packages, but it's still nice that the CLI packs it in by default. Eventually, the front-end will need to be deployed to a remote web server, and to do so, the application needs built and packaged. Fortunately, the CLI's build process is painless. 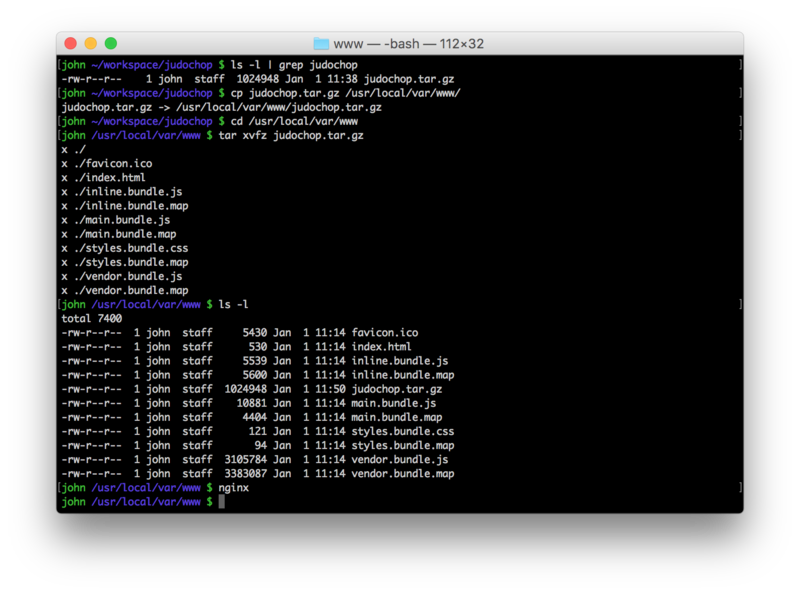 Simply run ng build and the CLI will utilize Webpack to output the generated front-end to the project's dist folder. tar -czvf judochop.tar.gz -C dist . Note: the -C dist . creates a cleaner tarball by only archiving the contents of the dist directory and not the directory itself. That's all there is to it! The front-end application is now being served by an independent web server! Hopefully this article has been useful in getting started with Angular2. Modern web applications have become extremely complex, and Angular CLI has been an equalizer in making things a tad simpler.